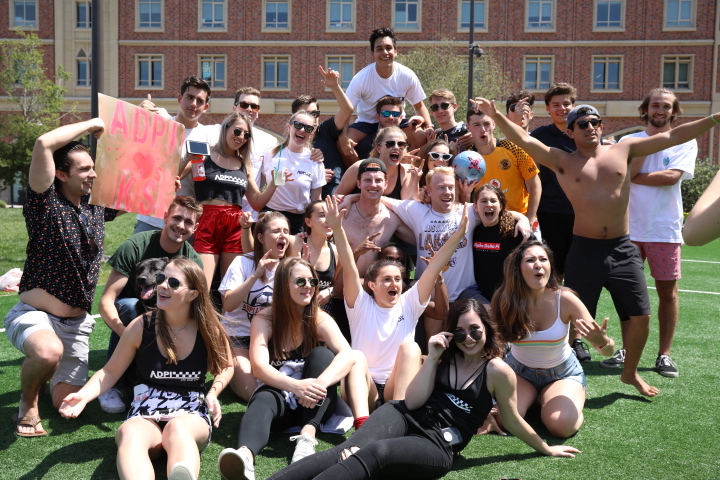 During our biggest philanthropy of the year, Row Cup, ADPi hosts the fraternities of USC in a soccer tournament to benefit the Ronald McDonald House. Money is raised through entry fees, T-shirt and Raffle sales. 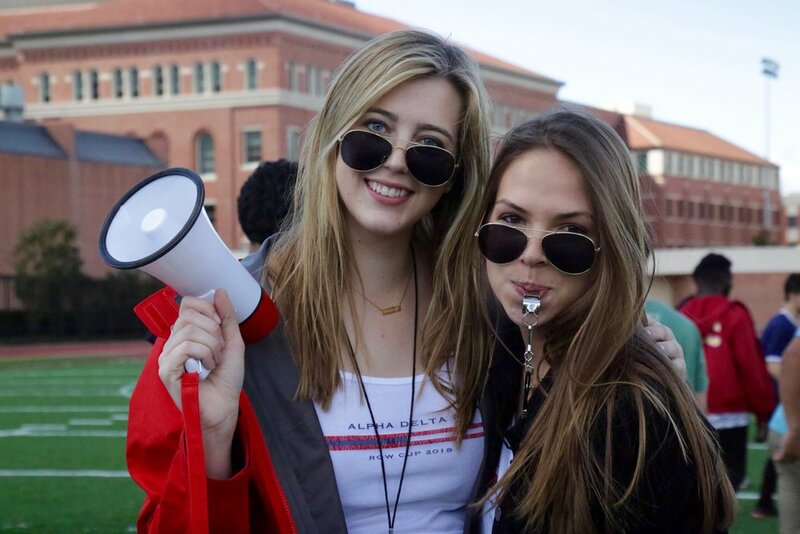 During the week leading up to the Tournament, Each member in ADPi joins a team for one of the fraternity houses and cheer them on to victory! 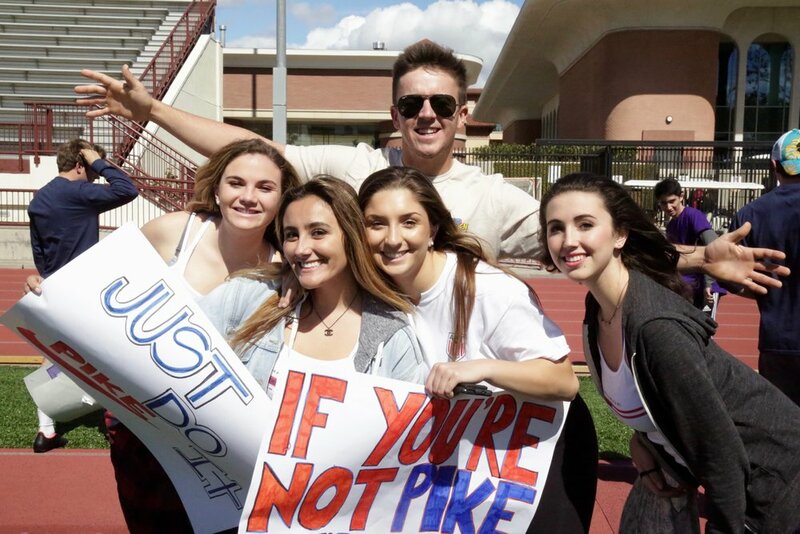 Our winner of this year's Row Cup was Sigma Chi, and the competition raised over $8,000! 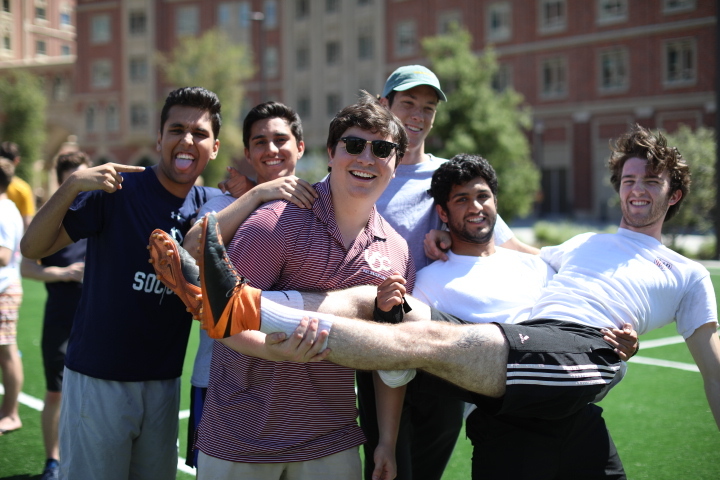 In addition to raising money for Ronald McDonald House, we also participate in numerous philanthropy events and tournaments hosted by the USC fraternities and other on campus organizations! 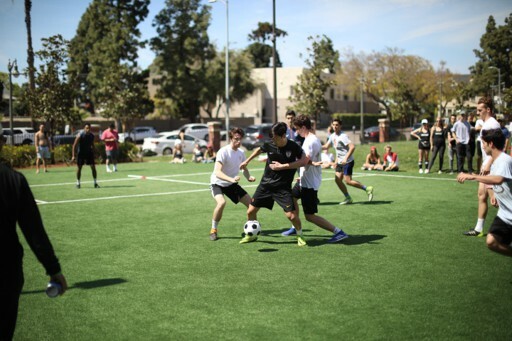 Some of these events include: Sigma Nu's Sets and Nets, Phi Sigma Kappa's Dodge ball Tournament, Phi Delta Theta's Beach Bash, Pi Kappa Phi's Winter Wars, and Kappa Sig's Street Soccer. 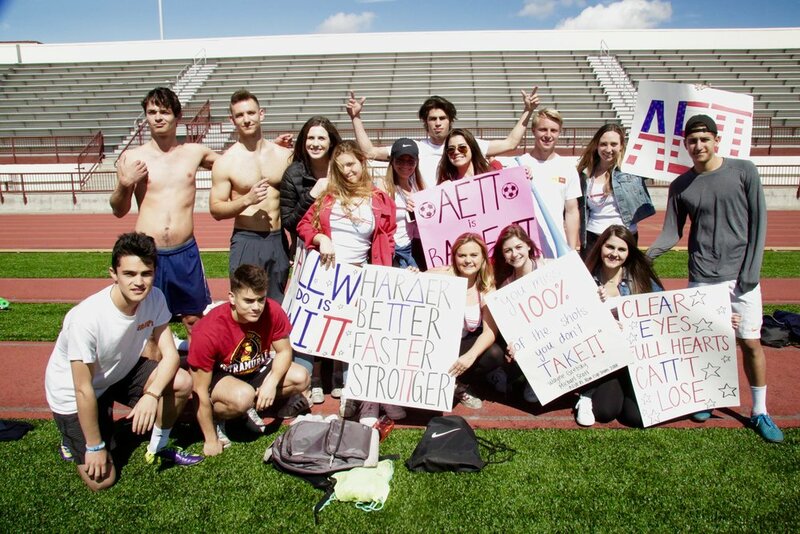 This year we even got to participate in UCLA's Lion's Cup Philanthropy, and took home the win in the sorority tournament! 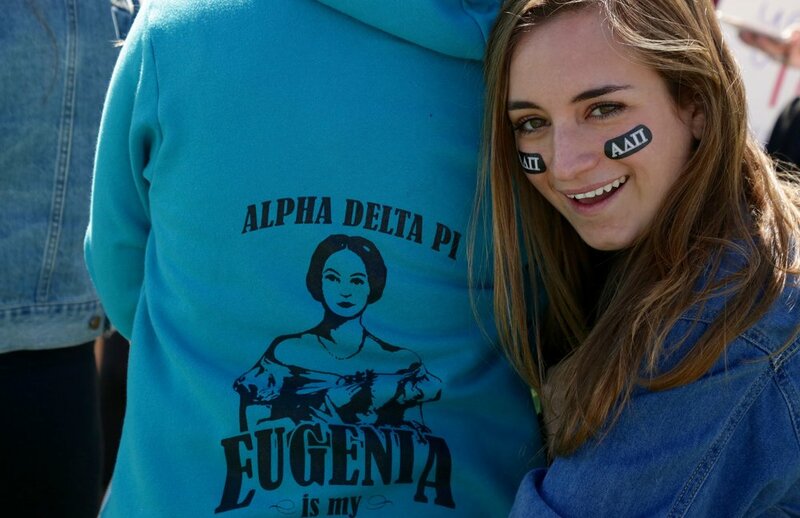 Showing support and Pi love at UCLA ADPi's Lion's Cup! 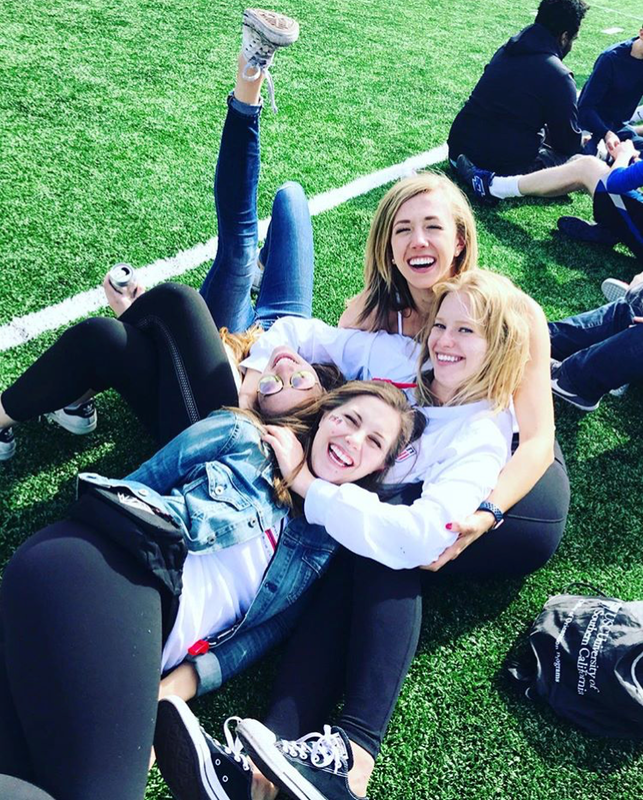 Some of our sisters at Kappa Sig's Street Soccer Tournament!